No parent ever wants their child to experience an emergency of any kind, and dental emergencies can be particularly concerning and confusing. What’s the right thing to do? What shouldn’t you do? Don’t worry, our pediatric dental office in Long Island is here to help. 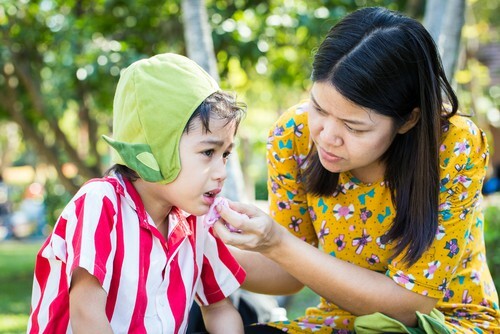 Not all dental emergencies should be handled the same way, so we’ve outlined some of the most common emergencies and what you can do if they happen to your child. Chipped or Broken Tooth – First, rinse the mouth and any broken pieces you happen to find with warm water. If your child is bleeding, apply gauze and a bit of pressure to help stop it. Swelling and pain can be reduced with a cold compress. Knocked Out Tooth – It’s important to realize that baby teeth are important and are placeholders for permanent, adult teeth. If one is lost before it falls out naturally, dental problems down the road can arise so it should be treated quickly. The key to saving a knocked out tooth is to find it as quickly as possible. Once you do, make sure to only touch the tooth crown, not the roots. You can then try to replace the tooth into the socket. If that’s not working, place the tooth in a glass of milk and get to a dentist. Your tooth has the best chance of survival if it’s returned to the socket within an hour. Toothache – A toothache is typically a sign of a bigger problem and shouldn’t be ignored. Get to your child’s dentist as soon as you can. In the meantime, relieve pain with a cold compress and some medicine. A quick rinse with warm salt water can help too. Whatever you do, do NOT place aspirin directly on the gums as it can cause tissue damage. Something’s Stuck Between Teeth – When a pesky food particle or something else gets wedged between teeth, there could be pain and it’s best to get it out. Avoid using anything sharp to pick it out. Choose floss instead. No matter what type of emergency your little one has, a good rule of thumb is to call your Long Island pediatric dentist as soon as you can. At our Long Island pediatric dental office, we’re in the business of keeping little smiles healthy, and we never want one of our patients to have a dental emergency. But the truth is, emergencies happen. When they do, we welcome you to call our office for help. Accepting new patients from Long Island, Westbury, Nassau County and beyond. Occasionally parents of our patients come to us wondering if it’s normal for their kid’s gums to bleed and if it’s something they should worry about. 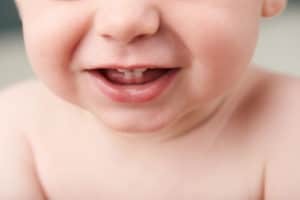 Despite common belief, it’s not normal for gums to bleed, and it’s always a concern, especially for our pediatric dental office in Long Island. In this blog, we cover some of the most common reasons kids (and adults!) experience gum bleeding. Typically gum bleeding caused by any of the above should stop once the medicine regimen is completed or brushing and flossing habits are changed. If it doesn’t, it may be a sign of gum disease. Gum disease is usually caused by poor oral hygiene and a buildup of plaque. Make sure your child is brushing gently with a soft-bristled toothbrush twice a day, and flossing properly once a day. 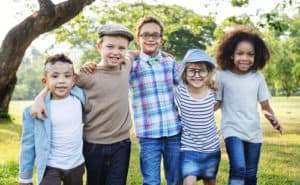 If the bleeding is an ongoing problem, it’s best to see your pediatric dentist in Long Island as soon as you can to get a proper diagnosis and begin any recommended remedy. Is your child experiencing gum bleeding? Give our Long Island pediatric dental office a call today. We’ll be happy to help! Accepting new patients from Long Island, Westbury, Nassau County. Sugar is every dentist’s worst enemy. It negatively affects oral health and puts teeth at increased risk for decay, cavities, and can lead to more serious dental and overall health problems. At our pediatric dental office in Long Island, we care about our patients’ smiles and well being, which why we’re strong believers in limiting the amount of sugar they ingest. In this blog, we talk about the top ways reduce your child’s sugar intake (and maybe yours too!) for a healthier, happier smile and body. When most people think of sugar, they immediately think of its negative effect on teeth. And while that’s definitely a fact, too much sugar can be dangerous to overall health too. An abundance of sugar in one’s diet can actually reduce brain function, cause headaches, and lead to overeating, obesity, and Type 2 diabetes. Reducing the amount of sugar in your family’s diet can do a lot to protect oral and overall health. We know it may be challenging, but we know you can do it! Remember, diet is only part of what makes smiles and bodies happy. Always keep appointments with your child’s Long Island pediatric dentist at least twice a year (same goes for you too!). Looking for the right dentist for your children? Give our Long Island pediatric dental office a call today! It’s one of our most favorite times of the year again! Each year, February is recognized as National Children’s Dental Health Month, and that’s definitely a cause our pediatric dental office in Long Island can get behind — it is what we do, after all! Pick Up a Book. Reading stories is a great way to capture and keep your child’s attention. Find a few kid-friendly books about dental health with lovable characters and make story time a regular thing. Bonus! Reading also helps develop reading and comprehension skills. 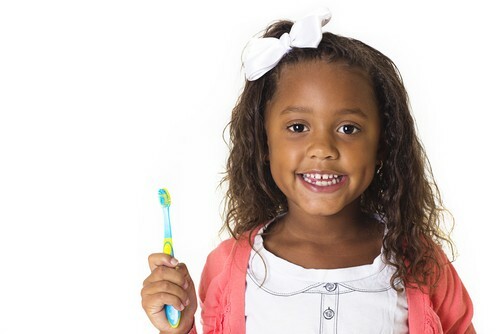 Starting kids off with good oral hygiene practices is the best way to ensure a lifetime of happy, healthy smiles. Make dental care and learning the importance of proper oral hygiene fun by following the tips above and visiting our Long Island pediatric dental office regularly. Accepting patients from Long Island, Westbury, Nassau County and the surrounding areas. Our Long Island pediatric dental office is here to care for kids’ smiles, and a big part of a healthy mouth is a healthy diet. While a healthy and balanced diet is important for everyone, it’s especially important for kids. Growing children need proper nutrition to build strong bones and teeth to set them up for a healthy life. 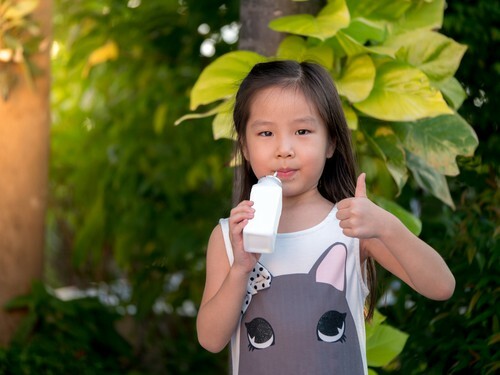 Milk – This probably comes as no surprise as milk is always a popular recommendation from pediatricians and pediatric dentists, and for good reason. A powerful provider of calcium and phosphorus, milk is a great choice to help build strong teeth and bones. Yogurt – Yogurt packs a healthy dose of protein as well as calcium…both of which are important for proper bone and tooth development. Cheese – Rounding out the dairy food group, cheese not only provides kids with calcium and protein, it helps neutralize acids which protects teeth against cavities. Broccoli – Broccoli is another great source of calcium, and one of the best vegetables your kid can eat to get their recommended amount. Though it’s best if eaten raw, lightly steamed broccoli can still be hugely beneficial. Blueberries – This colorful fruit is one of the best foods your kid can eat. Loaded with antioxidants, blueberries can protect against toxins. Plus they have a high manganese content which keeps bones strong. 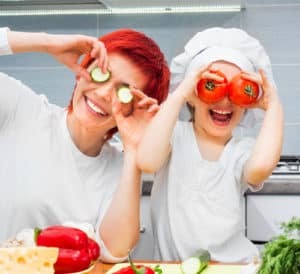 Choosing the right foods for your child’s growing body and smile is important, but avoiding those foods that can be harmful is also just as vital. There’s a quick and easy test to see if it’s a food you should take a pass on, or choose to let your kids eat in moderation. Ask yourself: Is it sticky? Is it sugary? Is it left in the mouth for a long time (like a lollipop)? If the answer is yes to any of those, it’s best to look for an alternative. Proper nutrition is only one part of aiding in tooth development. It’s still important for your child to maintain a healthy at-home oral health routine of brushing and flossing every day, and keeping regular appointments with his Long Island pediatric dentist. Whether you’re concerned for your child’s dental health, or you’re just looking for a dentist to care for his smile, we’re more than happy to help. Give our pediatric dental office in Long Island a call to schedule an appointment today. The mouth is a complex part of the body with a lot of individual pieces that can influence each other. One common question we get at our pediatric dental office in Long Island is if tooth positioning can affect a child’s speech development. The short answer is yes, but it’s a little bit more complicated than that. We’re not talking about nouns or adjectives, but more about the parts of our anatomy that allow us to speak. During speech, the tongue, lips, cheeks, and teeth all have a part to play. Ideally, they work in harmony and produce a clear, well-enunciated sound. But sometimes, there’s a disconnect that can negatively impact speech. This disconnect is often referred to as an Orofacial Myofunctional Disorder (OMD). OMDs occur when the tongue falls into an atypical position, usually too far forward or between the top and bottom teeth, during swallowing, speech, or rest. Dentists or orthodontists typically identify OMDs when the tongue’s position begins to influence tooth positioning and tooth eruption in smaller children. The good news is OMDs don’t always impact speech development, but they can. Since OMDs cause the tongue to wedge up against teeth or slide between the upper and lower teeth, certain sounds become increasingly difficult to make. Most commonly, children and adults with OMDs have trouble enunciating sounds like s, z, sh, zh, ch, and j. Instead of crisp, solid sounds, they produce more a “th” noise. If you’re concerned that your child may have a mouth condition that’s influencing speech development, contact our Long Island pediatric dental office to schedule an appointment. We’ll be happy to see your child, perform a gentle, thorough exam, and determine the best treatment for him. Welcoming patients from Long Island, Westbury, and Nassau County and beyond. No matter how you celebrate, there’s no denying that ‘tis the season of holiday parties, family feasts, and gifts galore — especially when you have kids. But figuring out what presents to get isn’t always easy. Let our pediatric dental office in Long Island help with some fun, dental-inspired gift ideas that are sure to not only make kids happy, but keep smiles happy too. Don’t forget, the best gift you can give your child’s smile is regular visits to a pediatric dentist in Long Island. Dental cleanings at least every six months help keep little one’s teeth clear of harmful bacteria and allow for early detection and easy treatment of cavities. If your child is in need of a dentist, give our Long Island pediatric dental office a call to schedule an appointment today. Accepting new patients from Long Island, Westbury, and Nassau County. When patients and their parents come in for a visit to our pediatric dental office in Long Island, we always go out of our way to make sure they have the proper tools to take care of their teeth. And it all starts with the right brush. There are so many shapes, sizes, and colors out there that it can be difficult to find the one that works. Once you and your kiddo agree on what style makes them most comfortable, it’s important to take care of the brush just like you do your teeth. Before we even get into the actual cleaning part of toothbrush care, it’s important to talk about sharing. It’s an admirable skill we want to teach our kids, but the same rules don’t apply when it comes to our toothbrushes. Using someone else’s brush can put your kids in contact with germs, meaning a cold or flu is right around the corner. Kiddos with a weakened immune system or the flu should always avoid handling other people’s brushes. Keep toothbrushes stored in the open air in an upright position, giving it ample time to dry. If your family has their toothbrushes in the same holder, make sure they are not touching to avoid cross-contamination. Always make sure to thoroughly clean your kiddo’s toothbrush after each use. Clean off any excess toothpaste and debris. A good rinsing should do the trick. Our Long Island pediatric dental office always tells our patients and their parents to get a new toothbrush every 3 to 4 months. Worn out or frayed brushes are not very effective at keeping teeth clean. Brushes should also be tossed following an illness. FYI: Kids brushes sometimes need to be replaced sooner than adults. Having a clean, well-functioning toothbrush will help ensure your little one’s teeth are always getting the complete cleaning that they deserve. Make sure to choose a brush that’s comfortable, fun, and has the American Dental Association’s Seal of Acceptance. Your Long Island pediatric dentist is always available to help answer any questions you may have about maintaining an effective, and fun oral hygiene routine. Welcoming patients from Long Island, Westbury, Nassau County and the surrounding areas. We hope you learned a little bit about the importance of saliva and how it can be a big help to our teeth, and our bodies. It’s always important to keep up with regular checkups at our Long Island pediatric dental office to help keep bad bacteria from doing damage to your little one’s precious smile. Schedule your appointment today!